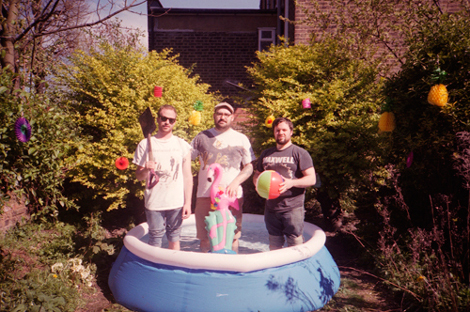 This is Fair Ohs, a 2 year-old three-piece from East London comprised of Eddy Frankel (guitar/vocals), Matt Flag (bass) and Joey Ryan (drums). They are the newest signees to Lefse Records with their album Everything Is Dancing; a record ‘influenced by West African funk, 60’s Psycheldic Rock, Eritrean Guayla music and a whole heap of Fleetwood Mac’. Sounds good to me in both Summer Lake and Eden Rock, or the “superhero day-off” video below of the title track. Good stuff. FAIR OHS // EVERYTHING IS DANCING from dave ma on Vimeo. Download that track here.